It’s October, so that means it’s time to bring out Disney’s The Nightmare Before Christmas for the next three months! This stop-motion film is a timeless classic that has only gotten more and more popular over the years. Disneyland Park even does an entire The Nightmare Before Christmas overlay for the extremely popular Haunted Mansion attraction that last from September through the holiday season. You’ve seen the film a hundred times, but we bet you didn’t know about some of these The Nightmare Before Christmas references! Mickey Mouse makes his mark in many Disney films, and The Nightmare Before Christmas is no exception! In the scene where Jack Skellington (disguised as Santa) is putting toys around the tree, two kids come out immediately after he leaves. The girl is wearing pajamas with Mickey Mouse and the boy has Donald Duck on his pajamas! Jack Skellington makes a number of appearances outside of The Nightmare Before Christmas (specifically in films by Henry Selick, who is Nightmare‘s director). The first can be found in James and the Giant Peach, where Jack Skellington makes a cameo as a skeleton pirate! You could say he was the first Captain Jack… sorry. Keep your eyes peeled because the next cameo by Jack is a very easy to miss. In another of Selick’s stop-motion films, Coraline, Jack’s face can be seen for a split second in the yolk of an egg. This was in the scene when Coraline enters the Other Mother’s kitchen which she’s busy baking. Just as the egg cracks open, Jack’s face quickly drops into the bowl. I wonder how long it took before people even noticed this reference? 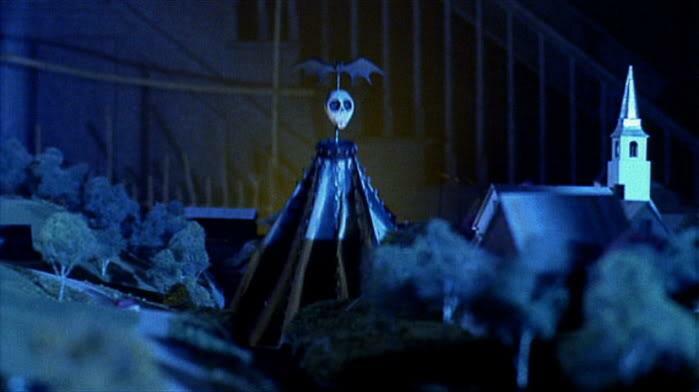 Finally, Jack’s first appearance, in fact, was not in The Nightmare Before Christmas, but in Tim Burton’s 1988 film, Beetlejuice, wear he can be seen on. Even though Burton didn’t direct The Nightmare Before Christmas, the concept was created by him in the form of a poem in 1982. Speaking of Beetlejuice, the orange-striped snake in The Nightmare Before Christmas is based off of the sandworm from the 1988 film. Now what are you waiting for? It’s time to pop in The Nightmare Before Christmas and run that sucker on a loop until December 26th! Did you know about these references? Which one is your favorite? Let us know on Twitter! Next article Loot Crate Studios Presents: EDUCRATED! Attack On Titan Edition! Previous article Looter Love: August MAYHEM Loot Crate DX!